Any company operates better when internal communications are well-structured. That is why it is important to improve a human resource management system within the framework of the whole workflow organization. Open HRMS provides core elements for a complete HR Management. Open HRMS Vacation Management is one such core module that takes care of employee well-being, their travel allowances, and other vacation benefits. Its implementation is a necessary step towards a prosperous company with well-automatized processes. 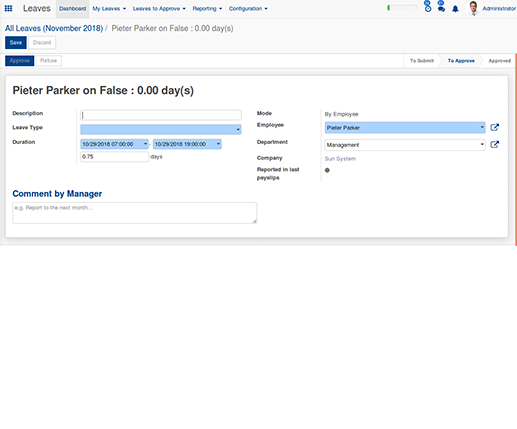 Manage HR department time, more efficiently via the automated reporting system. The bills are attached with employee leaves and invoiced any time necessary. Helps the organization in taking care of the employee travel expense. 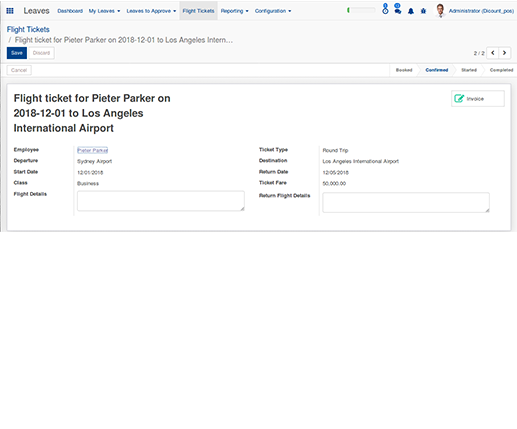 Open HRMS Vacation Management facilitates with flight booking for an employee. 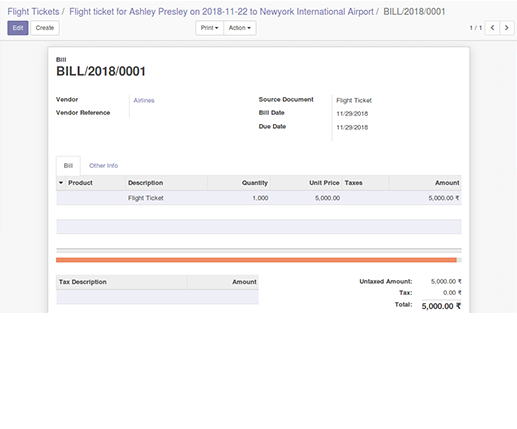 The bills are automatically invoiced in Open HRMS Vacation Management module.